Does Gutter Guard Filter out Pine Needles? Despite being a beautiful and unique tree, the downside to pine trees is that when the needles drop, they can be a nuisance to pick up. Dropping pine needles often find their way into gutters and consequently, downpipes, causing a range of issues that can take money and time to rectify. 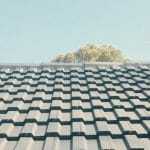 At AquaGuard, our Adelaide gutter guard is designed especially to combat debris such as pine needles. If you are getting sick and tired of constantly pulling pine needles out of your gutters, install AquaGuard’s very best gutter guard for Adelaide! 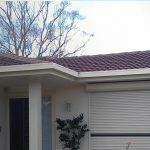 AquaGuard’s Adelaide gutter guard is designed specifically for use in Australia. We all know that the elements in Adelaide can be unpredictable; strong wind and rain in winter, scorching heat in summer. 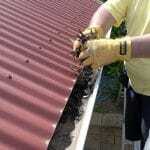 Well, AquaGuard only uses gutter guard that is designed to endure the harsh Australian conditions. This means that it can endure the changing conditions for years to come. This specific design is inherently resistant to abrasions and impact from foliage, making it the best application for areas where there are pine needles. While some of the finer needles may find their way through, you have the best chance of avoiding damage and blockage with AquaGuard. 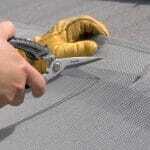 The vast majority of mesh gutter guard in Adelaide has spacings of approximately at 2.5mm. At AquaGuard, the Adelaide gutter guard mesh we use is spaced at 1.8mm. This makes it even more resistant to smaller objects such as leaves and nuts. 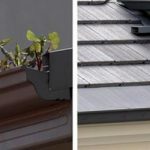 Gutter Guard in Adelaide designed with smaller spaces is incredibly resistant to foliage like pine needles, as it would be difficult for them to pass through the gaps in mesh and into the gutter. Built to last, the once-off application of Adelaide gutter guard with AquaGuard can protect against your property all year round. A key component to the effectiveness of a particular material is how well it is installed. 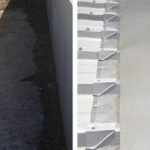 At AquaGuard, our team of professionals know the best way to fix your new gutter guard, to ensure your Adelaide property has the best chance of ongoing resistance. 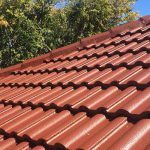 Our installation process is efficient and diligent and can be completed on a range of different roofing types. The team at AquaGuard have years of combined experience working with this material and have developed an efficient process for installation. To ensure that your gutter system isn’t bombarded with some types of pine needles, professional gutter guard installation by AquaGuard is essential. If you have a pine tree on your property that is causing you grief, contact AquaGuard and ask about the Adelaide gutter guard everyone is loving. 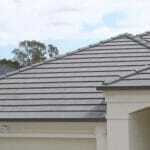 Designed specifically for Adelaide homes, this material can save you time and money in the long run. For a free quote, call AquaGuard today!